I've just bought this chainsaw - Bosch AKE 35S - from North Walsham Garden Centre, which cost me £88 after a 10% discount. It has a two-year guarantee. Chain sharpening costs £5; they will service it too, for around £15. April 19 Update This fantastic piece of kit chewed through a ton (literally) of old planks and oak beams, and apart from drinking a fair amount of oil is absolutely hassle-free. Very easy to retension and clean, nicely balanced, light but solid. Highly recommended! After a couple of years of excellent use (and wearing out around 3 chains in the process) it finally ground to a halt with a broken clutch. The motor would spin, but the chain wouldn't turn. 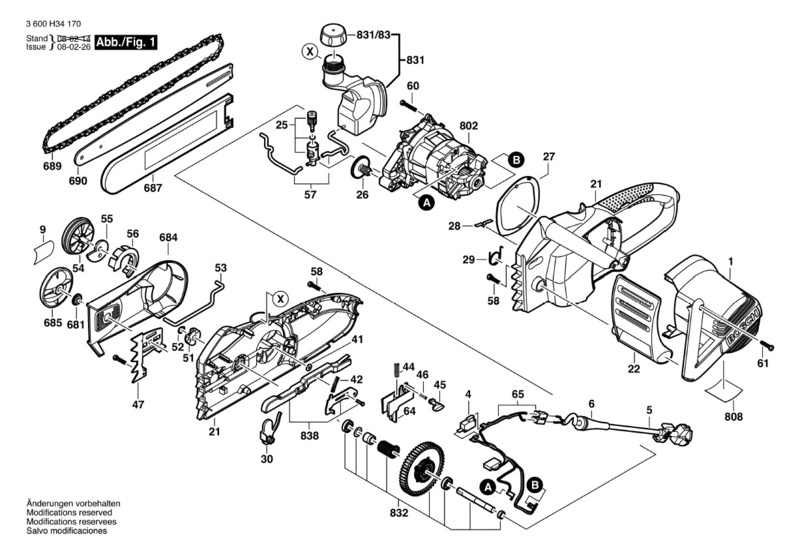 The diagram on the right shows the part required (number 832), and the reasonably simple process to replace the clutch. What Do You Have In Your Fireplace?